Mining barges are the next step up from the Venture, with much higher mining yields, larger ore bays and/or a stronger tank. Also, in contrast to the Venture, the mining barges can fit strip miners (with much higher yield than normal mining modules) and ice miners. There are three mining barges, each optimized for a different role: The Procurer has a strong tank, the Covetor a high mining yield, and the Retriever a large ore bay. The Procurer used to only have 1 high slot, while the Coveter would have 3. The Retriever still held 2 high slots. This was changed during the September 13th update in 2016, which overhauled the mining barges/exhumers. The Procurer is the toughest of the three mining barges, achieving battlecruiser-level EHP even with inexpensive modules. Its ore hold is 70% larger than a Covetor's (but about half the size of a Retriever's) and can fit about 15 minutes' worth of mined ore. 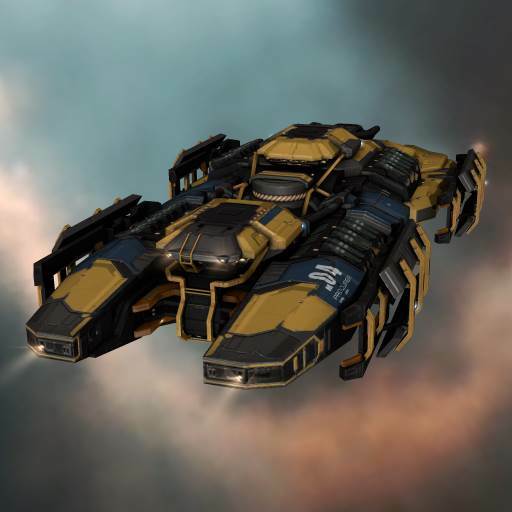 The Procurer's base mining yield is the the same as the Retriever's (and about 10-20% lower than a Covetor's), making it an excellent ship for mining in the lower-security (0.6 or 0.5) areas of high security space. The mining barge was designed by ORE to facilitate advancing the mining profession to a whole new level. Each barge was created to excel at a specific function, the Procurer's being durability and self-defense. Mining barges are equipped with electronic subsystems specifically designed to accommodate Strip Mining and Ice Harvesting modules. 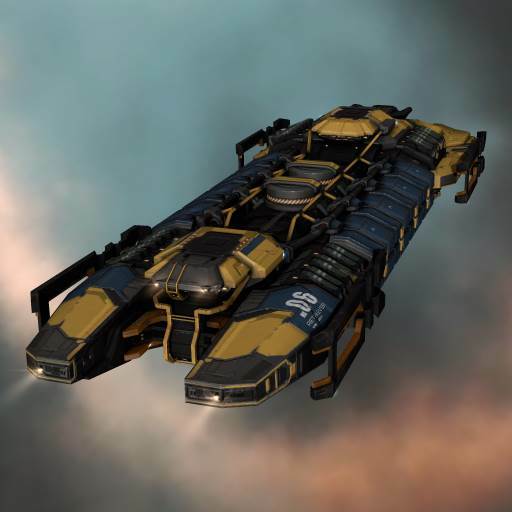 The Covetor has the greatest mining yield (about 10-20% more than a Retriever or a Procurer) out of the T1 mining barges, but has the smallest ore hold (it holds only about 5-8 minutes' worth of mined ore) and the least tank. As a result, you need support from another pilot (either flying a hauler or an Orca) to be effective at your role, as you waste the time saved mining by hauling the ore back to a station. As Covetors are extremely easy to destroy in suicide gank attacks, using this ship without protection (or the possibility of storing it in an Orca's Ship Maintenance Bay when attacked) is not recommended. The mining barge was designed by ORE to facilitate advancing the mining profession to a new level. Each barge was created to excel at a specific function, the Covetor's being mining yield. This additional yield comes at a price, as the Covetor has weaker defenses and a smaller ore bay than the other mining barges. The Retriever has the largest ore hold out of the T1 mining barges (27,500 m3 at Mining Barge V, enough for almost half an hour's worth of mined ore), but has only the same base yield as the Procurer (although the Retriever has more low slots and can therefore fit more Mining Laser Upgrade modules, increasing its yield somewhat). If you are mining without support in higher-security areas (0.7 and above), the Retriever is a good ship to use, as its middling yield (about 10-20% lower than a Covetor) is more than compensated by its vast ore bay, reducing the number of ore drop-off runs that need to be made. 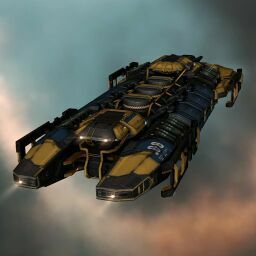 However, its tank, while about 40% stronger than a Covetor's, remains very weak and vulnerable to suicide ganking, therefore it may be worth flying a Procurer if you're worried about losing your ship to suicide gankers (the downside being that you will need to return to a station twice as often to empty your ore hold). The mining barge was designed by ORE to facilitate advancing the mining profession to a new level. Each barge was created to excel at a specific function, the Retriever's being storage. Although it only has space to fit two mining or ice harvesting modules, a fast loading system allows those two modules to do the work of three modules. This page was last modified on 28 August 2017, at 11:25.